Apple delayed iPhone 5 because the A5 chip is overheating? Rumor has it that the iPhone 5 was delayed, and may still be, because Apple's A5 chip has been overheating. The information comes from the Chinese website Sohu (via 9to5Mac). The overheating issue is reportedly the reason why Apple pushed back the next iPhone launch from the usual June-July timeframe into the late August-early September timeframe. Apple's silicon team is facing difficulties keeping the dual-core A5 chip cool in the new iPhone's tiny enclosure. The iPhone 5 launch has thus been delayed for an unspecified period of time, though many are expecting it to arrive this fall. The rumor claims that it could be pushed back into 2012 though, which would obviously be a big loss for Apple. The new iPhone is expected to be thinner and lighter than the current iPhone 4, and will be powered by Qualcomm's wireless chips. Rumors have previously said Apple's iPhone 5 will be an 8MP camera manufactured by Sony featuring dual-LED flash. Higher-resolution pictures and video will be better viewed on the device's rumored larger screen but thinner bezel. Apple has been giving some developers access to a device known as the iPhone 4S — an iPhone 4 with upgraded internals. Some argue that's not the next iPhone, claiming the device will reportedly have a radical new case design. 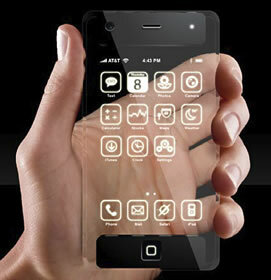 The iPhone 5 was largely expected to arrive last month, given the iPhone's history, but was delayed. The first iPhone was released on June 29, 2007. The iPhone 3G was introduced on June 9, 2008. The iPhone 3GS was announced on June 8, 2009 and arrived on June 19, 2009 in the first countries. The iPhone 4 was announced on June 7, 2010 and released on June 24, 2010.